This is the second installment in a series about actress, Alice Gray. Gray’s photograph was one of the five discovered upon the body of John Wilkes Booth when he was cornered and killed on April 26, 1865. Gray’s theatrical career has largely been forgotten with very little biographical material readily available about her. The following post was developed by consulting a variety of sources including digitized newspapers such as the Buffalo Courier, Baltimore Sun, New York Clipper and D.C.’s National Intelligencer. In all, it took several days’ worth of work to find and organize the material. This post is the second in a series about Alice Grey’s life, career, and connection to the Booth family. To read Part One entitled, Alice Gray: An Actress is Born, please click HERE. Research completed thus far has yet to solve the mystery of how Alice Gray became acquainted with theater owner John T. Ford. Alice had met many prominent actors and actresses during her run at the Metropolitan, Charleston, and Mobile Theatres. During that time she had acted side by side to both Edwin Booth and H. B. Phillips, two men who were very close to John T. Ford. Perhaps one of them told Ford about Gray’s acting abilities and encouraged him to seek her out. Or perhaps Gray reached out to Ford on her own and inquired about working for him. Regardless of how it happened, when the 1860-1861 theatrical season began, Alice Gray found herself employed by John T. Ford to be the leading stock actress at his Holliday Street Theatre. While in Baltimore in the fall of 1860, Alice Gray became acquainted with another member of the Booth family, John Sleeper Clarke. Clarke had known the Booth family from childhood when he played with young Edwin and John Wilkes in Baltimore. Clarke had been a member of Edwin’s kiddie acting troupe that put on plays for the neighbor kids. Clarke followed the Booths into the acting profession but became a comedian rather than a tragedian. In 1859, John Sleeper Clarke married Asia Booth, the youngest Booth daughter. Clarke was a popular comedian for John T. Ford and would make frequent appearances in his theaters. These first performances with Clarke in September of 1860 would be the first of many for Gray. The respect and approval Gray received from Baltimore audiences was no doubt gratifying to Gray, but once again she was called back to New York City’s stages by her friend, Edward Eddy. Eddy was performing an engagement at the New Bowery Theatre and must have requested Alice Gray by name to be his leading lady. Ford gave Gray permission to leave the Holliday Street Theatre to join Eddy for his engagement in New York. Alice Gray eventually ended her engagement with Eddy early. Whether this was contracted by Ford when he allowed her to leave or whether she returned back to the Holliday Street Theatre before the end of Eddy’s New York engagement on her own is unknown. Regardless, the decision to depart New York early to return to Baltimore was well founded. That eminent star of the stage, Edwin Booth, was starting an engagement at the Holliday Street Theatre. It had been almost three years since Booth and Gray had performed together back in Buffalo and the young actor’s fame had only increased since then. Booth in Baltimore was more of a draw than Eddy in New York and so Gray took her place alongside him. Gray played Juliet to Edwin’s Romeo, Katherina to Edwin’s Petruchio and Desdemona to Edwin’s Othello. Ford no doubt witnessed these performances and felt contented that he had chosen his leading stock actress wisely. By the end of October of 1860, Edwin departed for his next engagement in Philadelphia. Gray continued to act at the Holliday Street Theatre for the remainder of the 1860-1861 season, regularly receiving advertised benefits. It was while Gray was in Baltimore that the Civil War began. The conflict commenced on April 12, 1861, when Confederate forces laid siege upon Fort Sumter in Charleston, South Carolina. The simmering cauldron of the secession crisis had finally boiled over due to the election of Abraham Lincoln. Working and residing in Baltimore, Alice Gray would have been acutely aware of the anti-Lincoln and anti-war feeling that permeated the city. 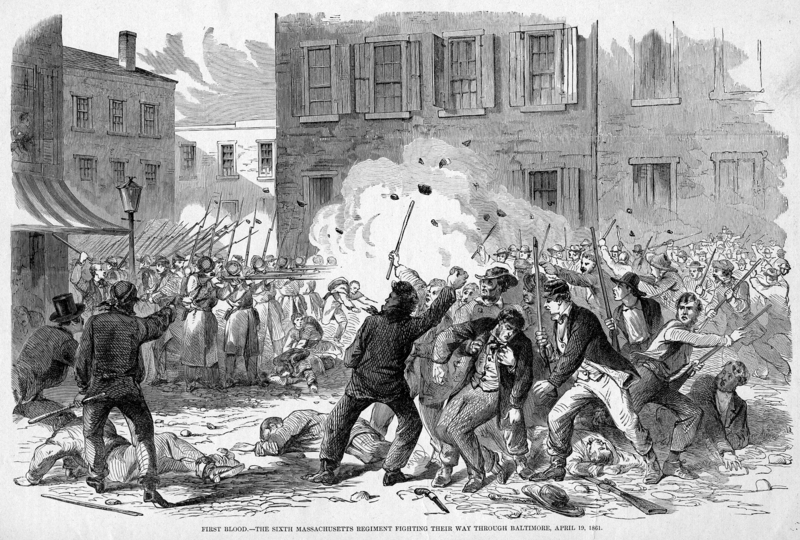 On April 19, 1861, a deadly riot occurred in Baltimore, causing the first hostile deaths in the Civil War. The Sixth Massachusetts Militia was passing through Baltimore on their way to Washington, D.C. when they found themselves surrounded by anti-war and pro-Confederacy sympathizers who called themselves the National Volunteers. After some tense moments, members of the National Volunteers attacked some of the members of the Militia with rocks, bricks, and pistols. In response, the Militia fired at the mob. A melee broke out and ended only after the Sixth Massachusetts Militia left behind most of their supplies and made it to Camden Station. In the end, four soldiers with the Militia and 12 civilians with the mob were killed. The pro-Southern residents of Baltimore used this event as propaganda, comparing it to the 1770 Boston Massacre that helped spur the American Revolutionary War. However, the pro-Northern public decried the violence and bloodshed caused by the rebels in Baltimore and demanded swift action against them. The federal government responded quickly and showed Baltimore and the rest of Maryland in no uncertain terms that it would not be allowed to foment insurrection like this again. In May of 1861, General Benjamin Butler entered Baltimore with about 1,000 soldiers, occupied the city and declared martial law. It is perhaps for these reasons that, when the 1861-1862 season commenced, Alice Gray did not stay at the Holliday Street Theatre with John Ford. Instead she made her way to Philadelphia where she was employed at the Walnut Street Theatre. The 1861-1862 theatrical season was a lean one for the entertainment industry. Many of the big British stars decided against visiting the United States with the Civil War raging. 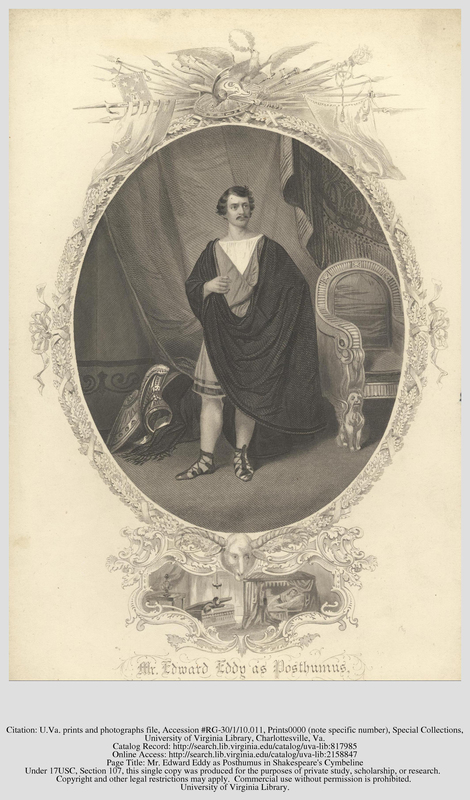 Even some American actors, like Edwin Booth, left the country for European tours of their own during this year. Audiences were smaller as the news from the war occupied everyone’s thoughts. At the Walnut Street Theatre, Alice Gray once again performed with John Sleeper Clarke when the comedian was engaged there for three weeks straight. She received little press during her time at the Walnut Street Theatre. One quick mention described her as a “handsome young actress, who evidently has not very much stage experience.” Such a review must have hurt the 26 year old actress who had been acting on the stage for almost 10 years at that point. When Gray’s season with the Walnut Street Theatre ended she decided to try her luck somewhere else. It was during Gray’s time in Philadelphia that John Ford had decided to invest in a new theater. Ford may have disliked Lincoln and the war but he was an astute business man. Washington, D.C. was a growing city during the war with thousands of soldiers and private citizens coming to the nation’s capital. Ford believed he could succeed in establishing a new theater in this growing metropolis. In December of 1861, Ford signed a five year lease on the First Baptist Church of Washington. The parishioners of the First Baptist Church had merged their congregation with another church and were no longer using the edifice on Tenth Street. The church already had a raised platform on which the pulpit and choir would be situated and so Ford realized that the building could be remodeled fairly inexpensively to serve as a theater. At first Ford rented the church to a minstrel group, but then, in February of 1862, he began a $10,000 renovation on the building. The building reopened on March 19, 1862 under the name “Ford’s Atheneum.” Ford’s renovations had been done quickly so as to preempt the reopening of another of Washington’s theater’s, Leonard Grover’s New National Theater, which completed its renovations on April 21st. Ford’s Atheneum proved a considerable success from the start. With his connections, Ford was able to attract first rate stars despite the war. The stationed soldiers and citizens of Washington proved devout theater goers. Even President and Mrs. Lincoln attended an operatic performance at Ford’s on May 28, 1862. When the 1862-1863 theatrical season opened, Ford renamed the building “Ford’s New Theatre” and looked forward to another prosperous year. The theater opened with an engagement by John Sleeper Clarke and it’s possible that Ford missed his former leading actress. When Gray had departed for Philadelphia, Ford had replaced her at the Holliday Street Theatre with actress Annie Graham. Graham was brought down to Ford’s New Theatre for a few performances with John Sleeper Clarke, but it doesn’t seem like they had the same chemistry (or marketability) as Clarke and Gray once had. It appears that Ford reached out to Gray with an offer to be his leading stock actress again. Perhaps this time he promised she would act in his new D.C. theater and therefore not have to relive the unpleasant scenes in Baltimore. Gray had spent the summer and fall months of 1862 up in Montreal, Canada. The Theatre Royal was famous for “importing” American talent during the summer months. This was also a wise way for American performers to keep a steady paycheck between seasons. Alice Gray played to good crowds but as fall gave way to winter, an engagement down in D.C. likely looked more hospitable to her. Whether John T. Ford originally intended for Gray to perform at his new D.C. theater or whether he wanted her back at his Baltimore establishment we may never know for sure because on the evening of December 30, 1862, cruel fate made the decision for him. Under the stage of Ford’s New Theatre in D.C. a fire was started by a faulty gas meter. While there was no loss of life from the severe blaze that followed, the fire completely consumed the inside of the theater. Ford lost over $20,000 in the inferno but the outside walls of the theater survived. While other theater owners might have given up and left the capital, Ford decided to rebuild his theater and make it bigger and more grand than had ever been seen in D.C. before. Ford would spend the next eight months raising money for and constructed his new theater. In the mean time, at the Holliday Street Theatre in Baltimore, the show must go on. Gray acted alongside John Sleeper Clarke again, with Ford highly advertising their partnership. In this way, Gray replaced her own replacement, Annie Graham, who was assigned smaller female roles when Gray came back. Gray and Clarke performed together at the Holliday Street Theatre throughout Clarke’s engagement which ended on February 14th. Clarke himself must have realized that he and Gray had good chemistry together. They had performed several long engagements with each other since 1860 and the results had been paying off in the box office. When Clarke went off to his next engagement in nearby D.C., he brought Alice Gray with him. Clarke was scheduled to make his debut at the Washington Theatre on February 23, 1863. The Washington Theatre was a slightly rundown edifice that only had intermittent productions when there was a lessee. The building lacked a full time manager/owner and was instead leased out to different individuals who staged their own shows at their own expense. It was essentially a rental theater, and hardly a five star establishment. However, John T. Ford had proven with his Atheneum that theaters were a sound business in war-time Washington. With that establishment burnt, the only other theaters of note were Grover’s New National Theater, the Washington Theatre, and Grover’s Canterbury Hall – a far seedier establishment which only catered to men. Until Ford completed his construction on his new theater, the only real places to act in Washington were the New National Theater or the Washington Theatre. On the Saturday before Clarke’s engagement began, the managers of the Washington Theatre gave Alice Gray a headlining performance of her own. In all, Clarke would be absent from the stage until Thursday, February 26th. The “severe domestic affliction” that prevented Clarke from performing during that time was a death in the family. Mary Devlin Booth, the wife of Edwin Booth, died on the morning of February 21st. Clarke and his wife Asia (who, coincidentally, had never cared for Mary Devlin) rushed to Edwin’s side at his time of need. They were also joined by John Wilkes Booth, who had left his upcoming engagement in Philadelphia to be with his brother. Clarke and the rest of the Booth’s attended Mary’s funeral and burial at Mount Auburn Cemetery in Cambridge, Massachusetts. Alice Gray had continued to perform at the Washington Theatre without Clarke: “During Mr. Clarke’s temporary absence they have introduced a young and beautiful actress, Miss Alice Gray, who has made a decided sensation in every character she has appeared in.” When Clarke returned to town, he and Gray once again began their successful partnership. Clarke’s absence for a few days increased his appeal and so Clarke and Gray performed to full houses for the rest of his engagement. However, when Clarke left for his next engagement in Philadelphia in mid March, Gray did not join him. Instead, she returned to Ford’s Holliday Street Theatre to act alongside a new member of the Booth family. This young, handsome actor would make an indelible mark on Alice Gray and, in a couple years, would alter the course of American history. This concludes part two of the series about Alice Gray’s life, career and connection to the Booth family. The third installment, “Alice Gray and John Wilkes Booth,” will be posted soon. liar. After a moment or so, it hit me. He looks like the spurious photo of Booth in a theatrical costume, seated next to a table. I think it was originally in the Barrett collection. DO you know which photo I mean? Make your own comparison and let me know what you think. Edward Eddy was quite a few years older than Booth so I don’t believe that the spurious picture of Booth is Eddy. Coincidentally, Eddy later married Henrietta Irving, the same actress who was in love with John Wilkes Booth and attempted to stab him in her dressing room. Have been meaning to get to this for a little bit. Outstanding recent postings!! You have gone above and beyond with the Dry Tortugas, Dr. Samuel Mudd and especially J. Wilkes Five women!! The subject of the five cdv’s found on John Wilkes has always been an enigma to me. I have always loved every aspect of the assassination and all the dozens of Prime players but especially have been drawn to the Booth families and their lives and interactions., trying to delve in to their minds!! I soak up everything I can see and read on the subject!! I absolutely love your blog there is always something new to garner. There is some information on Effie Germon, and Lucy Hale but very little to none on Alice, Fanny Brown and Helen Western that I personally think would benefit an in depth study or a book perhaps Dave?? Hint, hint! I would be first to purchase it!! I think it is one area that needs to be brought out about J. Wilkes that has never been pursued!! Why were all these ladies so important to him to carry with him on his escape? Another person I know very little about is Mary Devlin and with part 2 of Alice Gray, never knew that Asia and John Sleeper Clarke had a strong dislike for Edwin’s wife, Why? Would love to know your thoughts!! I am hoping to make it to Bel Air for your talk on Rosalie as she is another Booth with little info and no photographs? Even Joseph has a known photo!! Still owe you a photo of my Players club China from the original set Edwin ordered, Have never seen another!! KUDOS on a great article Can’t wait for next installment, you really keep us all on the edge of our seats!! Great job to you both!!! For the longest time I actually avoided the ladies in Booth’s life. In truth, there are a lot of them and it is very difficult to determine whether they were friends, coworkers, or lovers. While I have not found any evidence of romance between Alice Gray and John Wilkes, their close working relationship no doubt made them friends. I believe that is the main reason he kept her photo with him. I am not a theater historian and while I would also read a book about the main actresses in Booth’s life, I don’t think I’ll ever be the one to write a book on that matter. Perhaps, Thomas Bogar will take that on. He’s currently working on a biography of Maggie Mitchell another of Booth’s contemporaries. Asia Booth, bless her heart, had a difficult time making friends with other women. She despised Mary Devlin Booth stating during a visit to Niagara Falls that she wished Mary would fall in. Ironically, Asia had a dislike for actresses which doomed Mary Devlin from the start. Asia would go on to dislike Edwin’s second wife, Mary McVicker, as well, but she may have had more cause for that as Mary McVicker was a difficult woman to like. I look forward to seeing you at Tudor Hall in a couple weeks. The obituary which contained the name of her brother appeared in the Cincinnati Commercial Tribune on Sunday, October 26, 1890. The line about her first appearance at the Metropolitan is from a different obituary from The Buffalo Courier, November 2, 1890.
sorry, i forgot to ask in my last email for the reference to the theatre historian you cited about Alice not being able to read or write. I just read these two articles about Alice Gray. I found her name in a Harvard educated soldier’s diary. He went to Grover’s Theater with a friend, April 30, 1863 and saw John Wilkes Booth and Alice Gray in Romeo & Juliet. I was seeking out information on the actress and found it here. Great research and thank you.